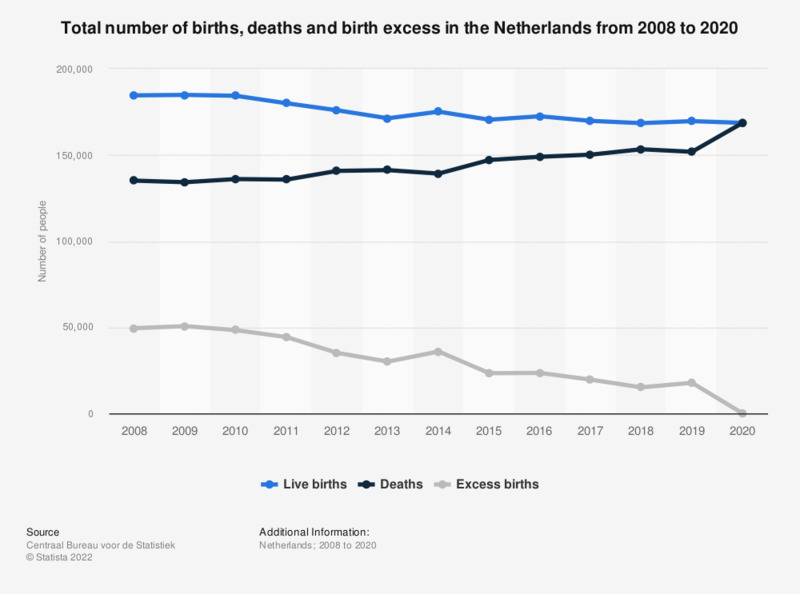 This statistic shows the total number of births, deaths and birth excess in the Netherlands from 2007 to 2017. In 2017, the birth excess was approximately 20,000. Birth excess: the number of live births minus the number of deaths.